We are specialized on Personal body care products. We have been in this business since 1987. 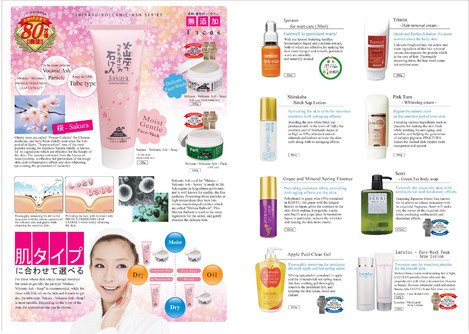 We provide our products to all over Japan and Asian market. We focus on natural beauty products for all type of skin. We look forward to serve you our best service. Do not hesitate to contact us. Thank you for your visit here. UpToDate synthesizes the most recent medical information into evidence-based practical recommendations clinicians trust to make the right point-of-care decisions.